As children, we understood the hold stories had on us. We would sit spellbound as the teller weaved his or her magic with words. Stories were not just calming enough to put us to sleep but also a way for important moral messages to be imparted. Unfortunately, as adults, we tend to underestimate the power stories hold. 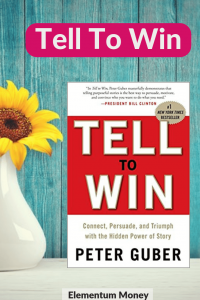 The latest book that I read which I am going to be talking about – Tell to Win by Peter Guber brought home the point emphatically that stories are the real deal in almost every aspect today. The reason why the book belongs to a Friday post here is the fact that it had a lot of valuable lessons that could help anyone evolve. We have conversations every day and weaving stories through them can only make them better. Peter Guber is a film producer in Hollywood, currently being the CEO and Chairman of Mandalay Entertainment. His passion for films comes out evidently through the book. He talks through his varied experiences of filmmaking to bring about the point of the role of stories. The book starts with him telling us the need for stories, the core elements to it, the preparation required for it and the basics of telling. It is an enjoyable read considering the points are made through a lot of stories. So, Gruber sure is practicing what he is preaching in the book. In my favored route of talking about books, I will talk about the ten big learnings that I took from the book. In Business school, we are taught the importance of numbers. It is pretty much drilled into us, be it through the innumerable excel sheets or the excruciating Powerpoint presentations where we end up using all our creativity into all types of graphs. However, data can only be a skeleton for the main thing which is the stories. In fact, as Gruber puts it – “Stories make facts and figures memorable, resonant and actionable”. Continuing with the B-school example, we used to also have a lot of Harvard Business School case studies. Those case studies, which gave most of the data in a story form were definitely far more engaging than the regular books. This does not in any way signify that data should be dumped altogether. While a story is the cake and not just the icing, data points are the chunky nuts in the cake that provide the crunchy substance to the story. As a (former) marketer, this point resonated with me at many levels. How many times have you read a book, watched a movie or a TV ad only to wonder later, what was the point? Even with fellow humans, there are often times when you listen to someone rambling on with you literally scratching your head as to what is the point. In marketing terminology, a story needs to have a call to action – why is it there in the first place and what is the listener expected to do at the end of it? Without this clear distinction, it is just directionless rambling. When using stories in real life to attain something, Gruber recommends that resolution of a challenge should end with a call to action to your listener. Something to ignite that light bulb in his or her mind. That is what makes the role of your story rock solid. We often try to eliminate softer aspects like emotions from our business dealings completely. However, stories work in business as well and they appeal to our basic senses by pulling on our heartstrings. The idea that the book delivers really well is that stories are not just for show business. Once you use the stories to make your audience feel for the hero in the story, you are bound to get across the message in a far better manner. No wonder video advertising is still so important for brands today. That is the best way for them to put forth their stories to the audience on a large scale. We are all pretty busy in our lives, running through the treadmill of work and family and the other elements in life. If we choose to give our time to something, it better be good, right? Similarly, when you tell your story, it should be important for them. That is a point that you need to communicate to them so that the listener realizes that the story is important for him or her. We all have back stories. In Fiction, strong back stories are what make memorable characters. Most movies will have an element of reveal where you realize why a character is doing what he or she is. In storytelling as in real life, both the teller and the listener have back stories. 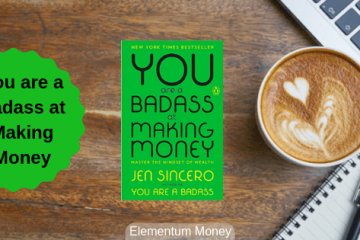 Owning your backstory and not backing out of it or letting it sabotage the story you are telling is crucial. So is leveraging the back story of the listener. Using that, it can be a big ally in your storytelling, especially if it is threaded in organically. The first person who needs to believe your story is you yourself. Unless you believe it, your authenticity is not going to come across despite the words. Real stories and authentic telling of those is important for the kind of impact that they would end up having. 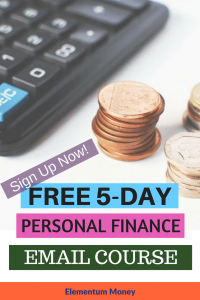 Some days back, I met the sales representative of a Life Insurance plus Investment product who went on rambling about how good her product is along with some anecdotes of customers benefiting from investing in it. I stopped her and asked if she believed in it. She looked me in the eye and said she did. While my belief in the product may or may not be there, that day I understood that this was a woman who meant business for a product that she was passionate about. Through the book, the author gives a ringside view of the world of Hollywood and that of being a Hollywood producer. The book is gripping because of the peppering of personal experiences throughout the book and the points that are made stick to memory. 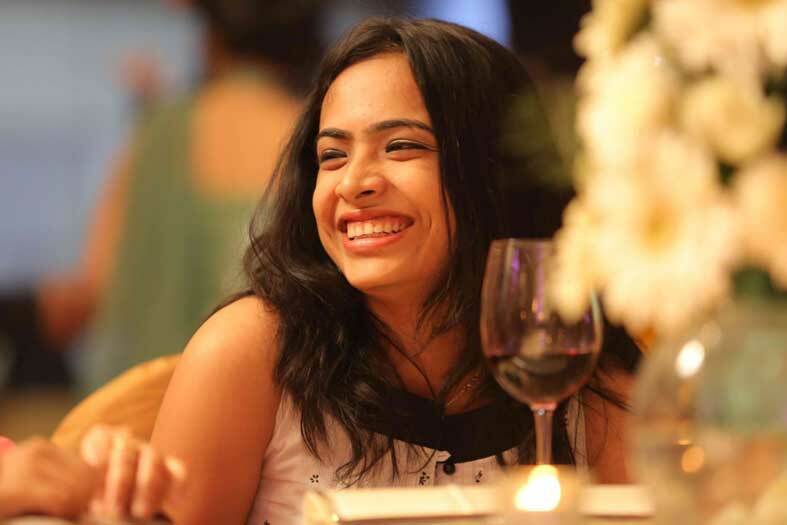 When we talk to friends and relatives, most of the time it is all about personal experiences. Word of mouth marketing also works through personal experiences. Evidently, we are also more animated and detailed when we talk through personal experiences. One of the most memorable stories that Gruber tells in the book is about the time Bill Clinton enlisted his help in raising funds for his presidential campaign. Clinton likened himself and his circumstances to a popular movie with a hero and his struggle. While that was an evidently good choice of analogy with a Hollywood movie producer and especially when the request was to the film fraternity, I suspect the strategy would work with almost anyone. As a marketer at heart, I have seen successful brands do this so well. The basic elements of the story behind the brand resonate with the audience and they carry it forward giving it their own twist, and doing so in their own way. For instance, Harley Davidson carries with it the story of being a big bad boy at any age. It can be told or displayed through a 25-year-old geek or a 50-year-old going through a mid-life crisis, going on Harley Davidson biker road trips. The core of the story hasn’t changed but it’s simply being multiplied and told in its own way by its cheerleaders for whom the story resonates. Honestly, the book was a surprise package for me. On my last trip to the American library, I happened to pick it up and I am glad I did. 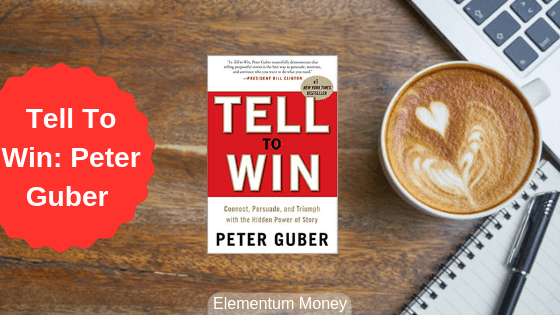 With a name like Tell To Win, Peter Gruber sure walks the talk by telling his story well in this book. What you read here barely skims the surface and if this is an intriguing sneak peek, the book is a must-read!